The AAWGT member will be honored during the 38th annual Dr. Martin Luther King Jr. Memorial Breakfast on January 21st. More info and tickets. 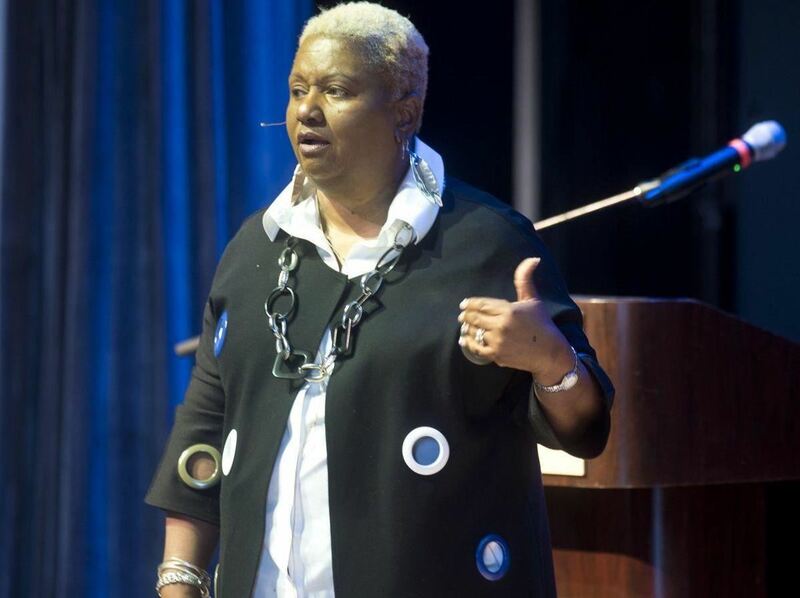 Cassandra’s work to strengthen area students’ college knowledge and to help them understand the correlation between high academic achievement, college readiness and completion will be recognized for exemplifying the legacy of the slain civil rights leader. Cassandra is the assistant director of enrollment development and admissions at Anne Arundel Community College. March 13, 2019, 6 - 8 p.m.
One of this year’s grantees, Sarah’s House, operates through a unique partnership between Catholic Charities, the United States Army (it’s located in old barracks on the edge of Fort Meade Army Base) and Anne Arundel County. Since opening its doors in 1987, Sarah’s House has served as a model of how nonprofits and government agencies can work together to help those in need. Take the example of Kendra and her daughter, Kassidy. Kendra moved to Maryland from New York in 2013, seeking a stable, complete home where she could raise her three-year-old daughter. Unfortunately, things did not go well for them, and they soon experienced homelessness. With the help of case managers at Sarah’s House, Kendra set goals to aid their transition to self-sufficiency. The road was bumpy – she ended up back at Sarah’s House two more times. But since her arrival in May 2018, Kendra has obtained full time employment and established both a debt reduction plan and savings to ensure a more successful transition to the community. Kendra’s dream is to be a photographer, and she lives her dream daily in the shelter through taking pictures of other clients’ children. 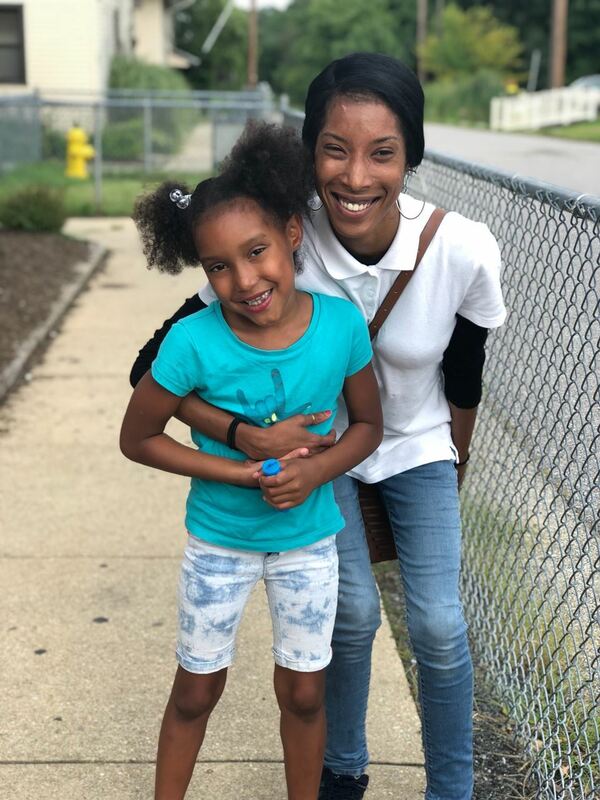 Her daughter is enrolled in the Licensed Child Care Facility on the campus – a unique feature that gives Kendra peace of mind while she works to establish an independent home for Kassidy. Their next step is “graduation” to Project North, which provides an interim step – small apartments while still within the bounds of Sarah’s House. Guests can stay at Sarah’s House for up to two years. The facility accommodates up to 125 people daily between an Emergency Shelter and Supportive Housing programs. Referrals to Sarah’s House are made through the Anne Arundel County Coordinated Entry system. Up to 33 children, ranging from 6 weeks to 12 years old, are cared for five days a week in the Child Care Facility. An unprecedented number of women joined the military after 9/11. As the number of active duty women soldiers has soared, so has the number of women veterans. Issues of domestic violence and sexual trauma have long been neglected in the military, and women veterans face unique challenges in accessing appropriate mental health and health care services, both while serving and as veterans. Come learn how people both within the Veterans Administration and outside groups are working to address these issues, and how women veterans are being served in Anne Arundel County. Guest speakers include: Lieutenant General Flora D. Darpino, Former Judge Advocate General, U.S. Army and Tara Fowler of ALTARUM, both of DC, and Dee Loftis, LCSW-C, Arundel Lodge Behavioral Health Center in MD. Maryland Hall for the Creative Arts - Bowen Theatre, 801 Chase Street. Register for this event. Monica Walker from The Racial Equity Institute spoke at Maryland Hall about racial inequity. On November 28, AAWGT and the Anne Arundel County Partnership for Children, Youth and Families co-hosted a half-day seminar at Maryland Hall on racial inequity. 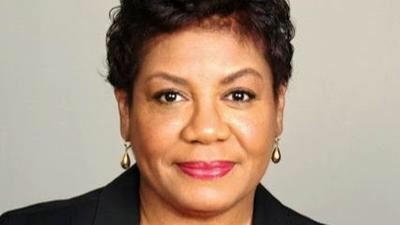 It was led by researchers from the Racial Equity Institute and focused on the history and extent of racial discrimination and systemic bias in health care, housing, criminal justice, finance, education, and employment. Dr. Pam Brown, executive director of the Partnership, followed REI’s presentation with parallel data in Anne Arundel County. The event, attended by a diverse group of 300 people, was sponsored by the Community Foundation of Anne Arundel County, Maryland Hall, Sonja Swygert, Anne Arundel County Public Libraries, and United Way of Maryland. READ the Capital-Gazette feature article. Thank you to those AAWGT members who recently completed their service on the Steering Committee: To Julie Crudele, Ginger From, Barbara Goyette, Barbara Haight, Libby Lewandowski, Sarah Morse, Beverly Nash and Julie Schuelke - thank you for sharing your time and talent to ensure 2018 was a successful one for AAWGT!! Although the saying seems trite, the reality is that the AAWGT Steering Committee is far more than the sum of its parts. Each person is a vital part of the organization and the more we collaborate, the more vibrant the organization becomes and the more we can offer our membership and our community. As the year unfolds, let’s recognize the members of the 2019 steering committee, elected by our membership in November. These women will join us in overseeing our vitally important work - that of improving the lives of women and their families in Anne Arundel County. To all our members, and to our larger community: welcome to the new year - and what an exciting year this is going to be!